Sprinkler CS 90 with strong spike ideal for watering small areas and gardens and suitable for use on uneven or sloping areas. Covers up to 64 m2. 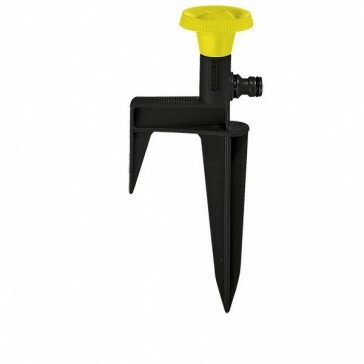 Additional adapter for watering rectangular areas. Sprinkler easily connects to a garden hose and compatible with all available click systems. Watering with Kärcher is the smart way to water! For watering small areas and gardens.